Easy to use, competitively priced and produced in the UK, with long warranty and technical support direct from the designers, London Electronics Ltd have a lot to offer, with over 25 years of experience to share. 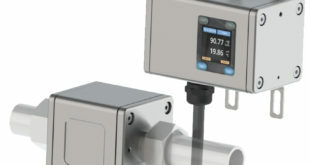 Meters can have up to 4 alarm relay outputs, high precision analogue output of 4-20mA or 0-10V, serial comms, and sensor excitation. They also have multiple user configurable logic inputs for Hold, Tare, Reset, Print, Peak/Valley, Nett/Gross etc. 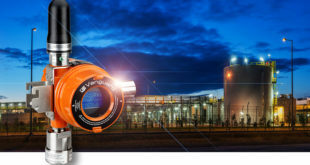 Displays have a wide range of digit sizes from 14mm up to 400mm for clear viewing in any location. They can even be mounted outside in direct sunlight with the daylight viewing option and are sealed to IP65 as standard. Data logging is also available, direct to a secure cloud-based memory, so you can access and share your data remotely and don’t need to fiddle with USB sticks or memory cards. Graphing is standard too and can be used on any mobile device, PC, Mac etc, without the need for downloading any software. 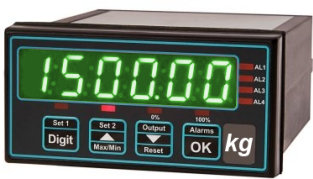 As well as panel meters and large displays, London Electronics produce a wide range of industrial message displays, used extensively in prestige manufacturing facilities the world over. Production line efficiency monitoring is a speciality of London Electronics. They have produced numerous custom factory performance systems for a wide range of blue chip clients as well as for smaller manufacturers, keen to raise their efficiency in a competitive worldwide market. 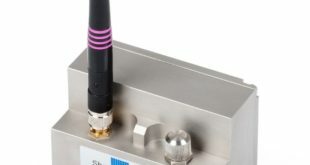 Most of London’s systems employ IIoT technology, allowing live production data to be viewed, analysed and shared amongst colleagues both on and off site in near real-time. 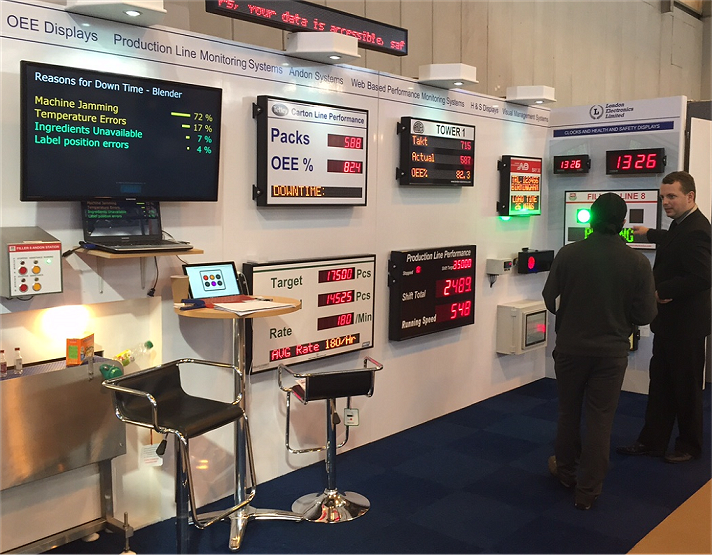 From simple Networked Andon lights to complete efficiency monitoring systems with displays, audible alarms, LCD reception publicity displays of plant performance, London can help you to realise your need to share your most important information efficiently and cost effectively. We have solutions for all modern networks, from TCP/IP with TLS/SSL, to Ethernet/IP, Profinet, Profibus, Modbus, etc. 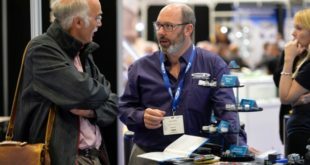 If it’s worth monitoring, controlling, analysing or sharing your process data, contact London Electronics who will be pleased to offer advice on how your process can benefit from the latest developments in modern technology.